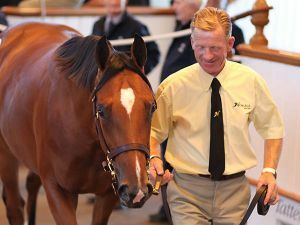 Book 1 of the Tattersalls October Yearling Sale started on a remarkably strong note with a colt by GALILEO becoming the highest priced yearling to be sold anywhere in the world this year when purchased by MV Magnier for 3.4 million guineas. Stellar trade on the opening day saw five lots top a million guineas and 20 lots realise 500,000 guineas or more with a robust clearance rate of 85%. 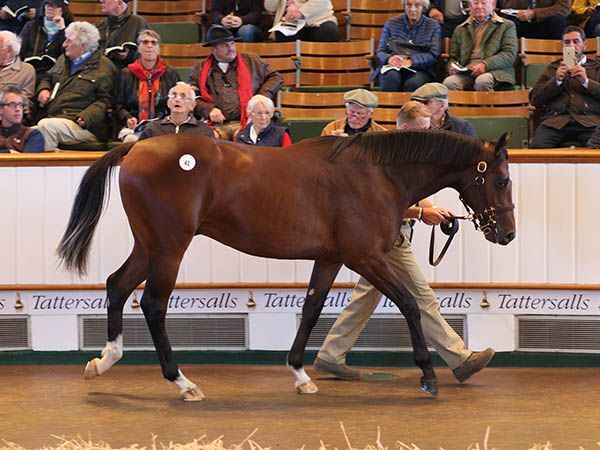 Hitting the headlines on the opening day of Book 1 of the Tattersalls October Yearling Sale was the GALILEO colt out of SHASTYE who became the most expensive yearling sold at public auction in the world this year when knocked down to MV Magnier for 3,400,000 guineas. An international cast of potential purchasers raised their hand for the sale topper including Jocelyn de Moubray, Ballylinch Stud’s John O’Connor alongside Mick Flanigan, Simon Crisford and Japanese trainer Mitsu Nakauchida who was the eventual underbidder. Consigned by Newsells Park Stud, the regally bred son of GALILEO is a full brother to Group winners SECRET GESTURE, SIR ISAAC NEWTON and most recently the Group 2 Beresford Stakes winner JAPAN who was purchased at Book 1 last year for 1,300,000 guineas. "She is a wonderful mare and the pedigree says it all, but timing is everything and Japan's Beresford win just revitalised everything and brought back some interest and vibrancy to the pedigree. "This is a lovely colt, and has always been a lovely horse, though maybe not as pretty as Sir Isaac Newton. I think that Aidan believes he did not get it quite right with Sir Isaac, so Coolmore was happy to come back again - I also know that Ballydoyle holds Japan in high regard. "I have to thank everyone at home – yearling manager Gerry [Meehan] and his team have done a fabulous job, the whole draft looks superb and this horse was in top order. They have all been a really happy team to work with this autumn." The sale of the GALILEO colt out of SHASTYE represented the equal second highest price for a colt at auction in Europe, only behind his full brother SIR ISAAC NEWTON who realised 3.6 million guineas in this sale ring in 2013. The GALILEO filly out of the KYLLACHY mare PENCHANT set the bid board alight early on in proceedings when selling to Emmanuel de Seroux of US based Narvick International for 1,200,000 guineas. ‘Flash’ Conroy’s Glenvale Stud consigned the well related filly, a half-sister to the Group 1 Prix Maurice de Gheest winner GARSWOOD and an own sister to the Group race performing two year old ZAGITOVA who was purchased at this sale last year for 1.6 million guineas and who ran fourth in the Group 1 Moyglare Stud Stakes on her latest start. 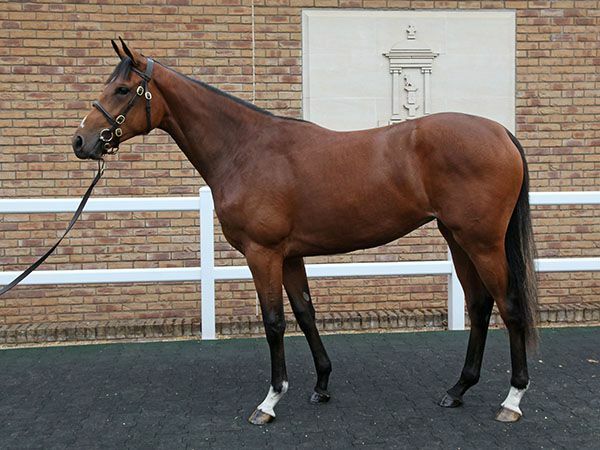 On a day that was dominated by GALILEO, DUBAWI also had his time in the spotlight when the Meon Valley Stud consigned son of the super sire was purchased by Stroud Coleman Bloodstock for 1.1 million guineas with trainer Roger Varian the underbidder. Catalogued as lot 113, the eye-catching colt is out of the two time Classic runner up SHIROCCO STAR who was second in the 2012 renewals of both the Group 1 Epsom and Irish Oaks and who hails from a Meon Valley Stud family that includes the Irish 2,000 Guineas runner-up FRANCE. 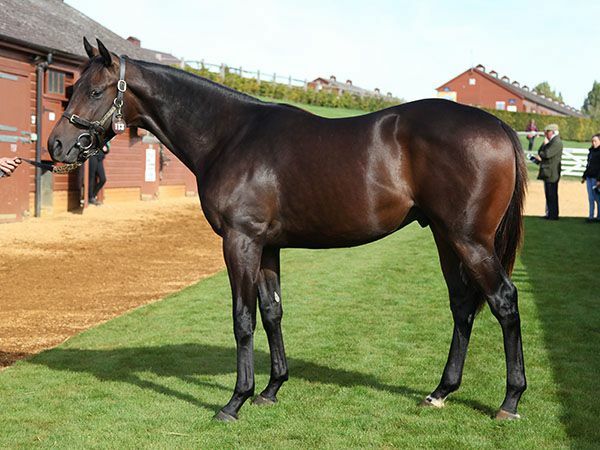 Leading consignor Newsells Park Stud sold two of the five lots to top a million including the GALILEO colt out of the OASIS DREAM mare POSSET, an own sister to six time Group 1 winner MIDDAY, who was knocked down to Simon Crisford and signed for by Stroud Coleman Bloodstock for 1.1 million guineas. The February born colt was part owned by John Gunther, the breeder of US Triple Crown winner JUSTIFY, who purchased POSSET from the Juddmonte Draft at the Tattersalls December Sale in 2014 for 625,000 guineas. "The mare has a Frankel colt foal and is in-foal to him. We used Galileo because he is the best stallion in the world – we probably should go to Dubawi next! It has all worked out well today." The Coolmore team, headed by MV Magnier signed for three of the five million guinea lots including the son of KINGMAN purchased from Michael Fitzpatrick’s Kilminfoyle House Stud for 1,050,000 guineas. The sale of the son of the winning DANSILI mare SHEMYA represented an impressive pinhooking success for his owners who bought the colt at the Tattersalls December Foal Sale for 135,000 guineas. "As a foal he had a really good walk, he was a good physical and I bought him from Giles Wates of Langton Stud. "It was a lot of money to give for a foal, and it was our last bid, but it has worked out and I am so pleased for my staff, Pamela and Santos - I have to thank them. "I have had pinhooks sell for 475,000gns, but not had one top half a million - and then this guy sells for over a million!"